On August 23, 2000 Lynn Conway received a worldwide license from the IBM Corporation to make and distribute copies of her IBM-ACS Archive for historical and research purposes. 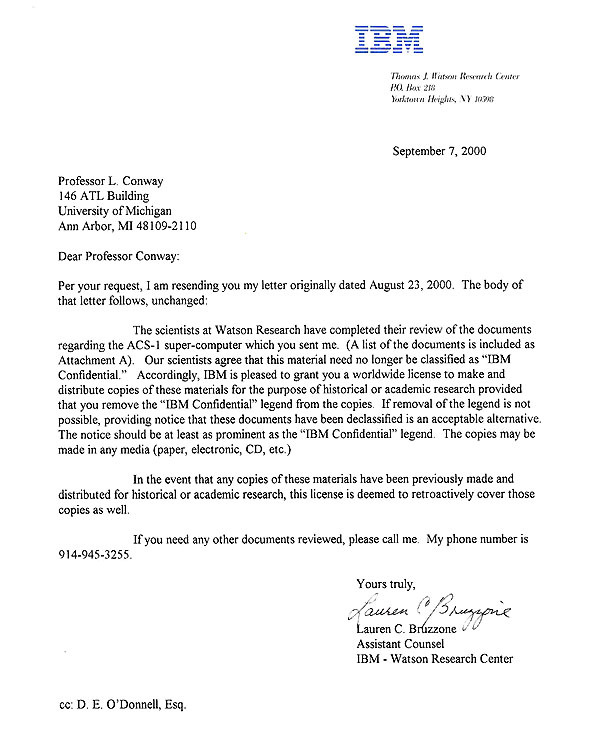 The materials in the Archive have been declassified by IBM and are no longer "IBM Confidential". Distributed copies now contain a notice of this declassification and license.